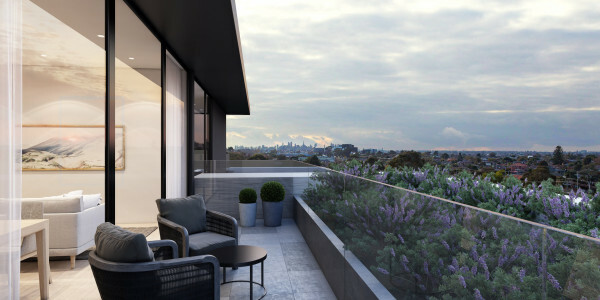 Neue, an exclusive cluster of conveniently located apartments; the Highett Road village and shopping centre are only a short walk away, giving you a vibrant local community and everything you need for daily life, whether it’s groceries, a coffee, or somewhere to join friends for a cocktail. Beautiful beaches are just ten minutes’ drive from home: you can unwind there any day of the week. When you’ve had enough sand in your shoes, head for one of the many parks and green spaces dotted around the neighbourhood for a stroll, a jog, or to kick a ball around. Oh, and let’s not forget work—or study. Neue makes that easy, too. The train station is just three minutes away, or you can hop in the car and drive just a block to the Nepean Highway. All roads lead to Melbourne and its myriad opportunities for employment, education, shopping, and entertainment. This is the shape of your Neue life. - Bayside lifestyle - 10 minutes drive to the beach (Sandringham Yacht Club). - Studded with numerous parks and recreation facilities. - 4 minutes walk to the Highett Train Station. - Main shopping strip, including Woolworths all within walking distance. - Well-stocked with high rating cafes, restaurants and bars. - 5 mins drive to the Southland Shopping Centre. - 18 kilometres from CBD. - Premium fixture and fittings; i.e. Bosch appliances, stone benchtop at no extra cost. - Award winning interior designer Studiomint. With over 80 individual projects across Melbourne available for purchase, you could find your next home, or investment property, and open the door to your dream getaway.